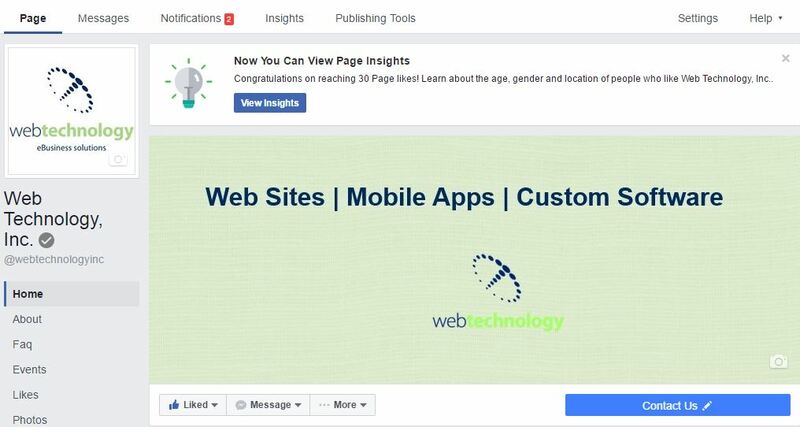 How to verify your business Facebook Page - Web Technology, Inc. The reach of Facebook cannot be denied. With over 1.7 billion (with a “B”) monthly active users, it makes sense for your business to have a presence here. Assuming you have set up a Page for your business, a crucial step is to verify your business. Once verified, a check mark is shown on the Page and provides a level of authenticity to visitors. Facebook also claims it helps with search engine placement. 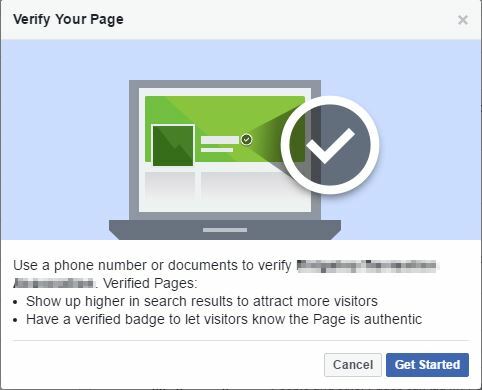 Below is a step-by-step guide to get your business Page verified. Go to the business Page after logging in and click the Settings button at the upper right of the page. Click the Page Verification option in the General settings. Click the Verify this Page link. A window will open with instructions on verification. Phone number verification is far simpler and is the method used here. Ensure the business phone number is correct. An automated call will be initiated to the business phone number. 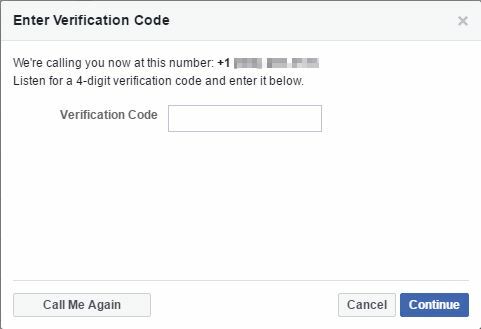 Be prepared to write down a verification code. Click the Call Me Now button when ready. Enter the verification code provided by the automated call in the space provided and click the Continue button. That’s it! 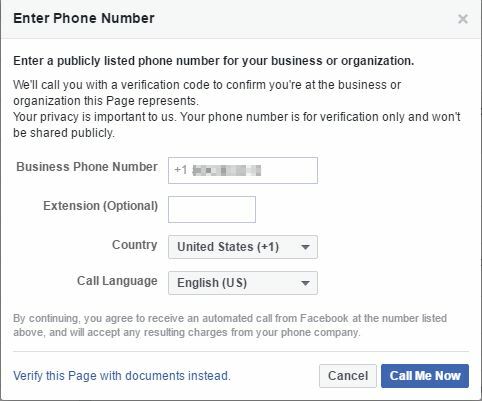 You now have a verified the Facebook Page for your business. When finsihed you will see a gray checkmark by the business name.